Choose the attachment that works best for you. 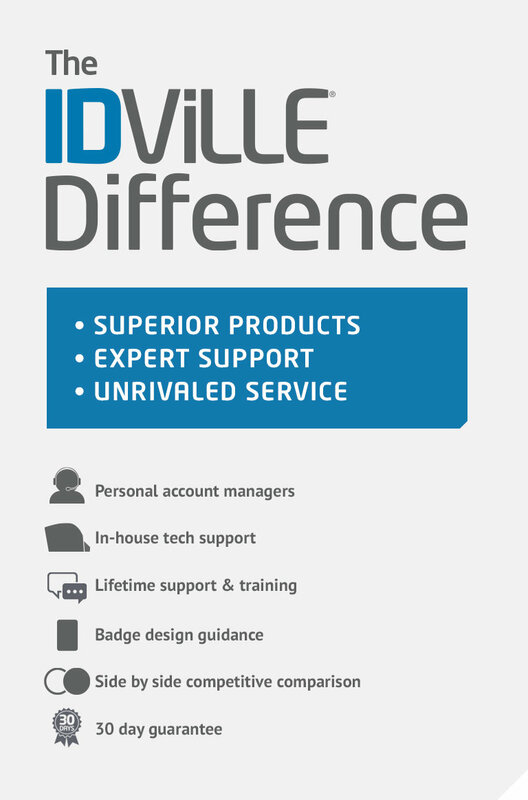 IDville also carries paper and plastic badge stock to create your own ID badges. Shop our entire line of card printers and accessories to create professional IDs in minutes, right from your desktop. Badge holder measures 3 3/8" x 4 1/4"